Taipei, Aug. 17 (CNA) Taiwan is set to reopen the Asia winter baseball league at the end of 2015, according to the Chinese Professional Baseball League (CPBL). With the support of Taiwan's Sports Administration, the Chinese Taipei Baseball Association, the CPBL, Nippon Professional Baseball (NPB), the Korea Baseball Organization (KBO), and the World Baseball and Softball Confederation, Taiwan is to host the tournament again to provide a stage for potential players, the head of CPBL John Wu (吳志揚) said. 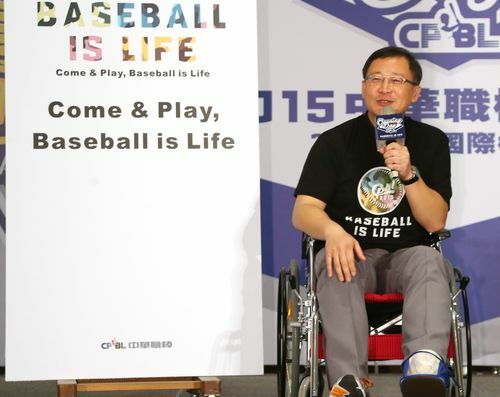 A total of five teams, including Japan, the defending champion South Korea, Europe united, and two teams from the host country, Taiwan, will participate in the 2015 Asia winter baseball league, the CPBL Secretary-General Chu Kang-cheng (朱康震) said. The five teams in the league are to play 40 games and another 6 playoff games, Chu said. The 2015 Asia Winter Baseball League is to be held from Nov. 28 to Dec. 22. Taiwan first staged the Asia league baseball game in 2012 but suspended it in 2014.